byThomas S. Monson, "Our Sacred Priesthood Trust"
Some years ago as our youngest son, Clark, was approaching his 12th birthday, he and I were leaving the Church Administration Building when President Harold B. Lee approached and greeted us. I mentioned to President Lee that Clark would soon be 12, whereupon President Lee turned to him and asked, "What happens to you when you turn 12?" This was one of those times when a father prays that a son will be inspired to give a proper response. Clark, without hesitation, said to President Lee, "I will be ordained a deacon!" The answer was the one for which I had prayed and which President Lee had sought. He then counseled our son, "Remember, it is a great blessing to hold the priesthood." I hope with all my heart and soul that every young man who receives the priesthood will honor that priesthood and be true to the trust which is conveyed when it is conferred. May each of us who holds the priesthood of God know what he believes. As the Apostle Peter admonished, may we ever be ready "to give an answer to every man that asketh you a reason of the hope that is in you." 1 There will be occasions in each of our lives when we will be called upon to explain or to defend our beliefs. When the time for performance arrives, the time for preparation is past. Most of you young men will have the opportunity to share your testimonies when you serve as missionaries throughout the world. Prepare now for that wonderful privilege. I have experienced many opportunities. One occurred 21 years ago, prior to the time when the German Democratic Republic--or East Germany, as it was more commonly known--was freed from Communist rule. I was visiting with the East German state secretary, Minister Gysi. At that time our temple at Freiberg, in East Germany, was under construction, along with two or three meetinghouses. Minister Gysi and I visited on a number of subjects, including our worldwide building program. He then asked, "Why is your church so wealthy that you can afford to build buildings in our country and throughout the world? How do you get your money?" I answered that the Church is not wealthy but that we follow the ancient biblical principle of tithing, which principle is reemphasized in our modern scripture. I explained also that our Church has no paid ministry and indicated that these were two reasons why we were able to build the buildings then under way, including the beautiful temple at Freiberg. Minister Gysi was most impressed with the information I presented, and I was very grateful I was able to answer his questions. The opportunity to declare a truth may come when we least expect it. Let us be prepared. On one occasion, President David O. McKay was asked by a woman not a member of the Church what specific belief set apart the teachings of the Church from those of any other faith. In speaking of this later, President McKay indicated that he had felt impressed to answer, "That which differentiates the beliefs of my church from those of others is divine authority by direct revelation." 2 Where could we find a more significant example of divine authority by direct revelation than in the events which occurred that "beautiful, clear day, early in the spring of eighteen hundred and twenty," when the lad Joseph Smith retired to the woods to pray. His words describing that moment in history are overpowering: "I saw two Personages, whose brightness and glory defy all description, standing above me in the air. One of them spake unto me, calling me by name and said, pointing to the other--This is My Beloved Son. Hear Him!" 3 Our thoughts turn to the visit of that heavenly messenger, John the Baptist, on May 15, 1829. There on the bank of the Susquehanna River, near Harmony, Pennsylvania, John laid his hands upon Joseph Smith and Oliver Cowdery and ordained them, saying, "Upon you my fellow servants, in the name of Messiah I confer the Priesthood of Aaron, which holds the keys of the ministering of angels, and of the gospel of repentance, and of baptism by immersion for the remission of sins." 4 The messenger announced that he acted under the direction of Peter, James, and John, who held the keys of the Melchizedek Priesthood. Ordination and baptism followed. This is yet another example of divine authority by direct revelation. In due time, Peter, James, and John were sent to bestow the blessings of the Melchizedek Priesthood. These Apostles sent by the Lord ordained and confirmed Joseph and Oliver to be Apostles and special witnesses of His name. Divine authority by direct revelation characterized this sacred visitation. As a result of these experiences, all of us carry the requirement--even the blessed opportunity and solemn duty--to be true to the trust we have received. President Brigham Young declared, "The Priesthood of the Son of God is ... the law by which the worlds are, were, and will continue for ever and ever." 5 President Joseph F. Smith, expanding on this theme, advised, "It is nothing more nor less than the power of God delegated to man by which man can act in the earth for the salvation of the human family, in the name of the Father and the Son and the Holy Ghost, and act legitimately; not assuming that authority, nor borrowing it from generations that are dead and gone, but authority that has been given in this day in which we live by ministering angels and spirits from above, direct from the presence of Almighty God." 6 As I approached my 18th birthday and prepared to enter military service in World War II, I was recommended to receive the Melchizedek Priesthood. Mine was the task to telephone President Paul C. Child, my stake president, for an interview. He was one who loved and understood the holy scriptures, and it was his intent that all others should similarly love and understand them. As I knew from others of his rather detailed and searching interviews, our telephone conversation went something like this: "Hello, President Child. 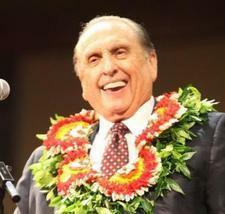 This is Brother Monson. I have been asked by the bishop to visit with you relative to being ordained an elder." "Fine, Brother Monson. When can you see me?" Knowing that his sacrament meeting time was 4:00 and desiring minimum exposure of my scriptural knowledge to his review, I suggested, "How would 3:00 be?" His response: "Oh, Brother Monson, that would not provide us sufficient time to peruse the scriptures. Could you please come at 2:00 and bring with you your personally marked set of scriptures?" Sunday finally arrived, and I visited President Child's home. I was greeted warmly, and then the interview began. He said, "Brother Monson, you hold the Aaronic Priesthood." Of course, I knew that. He continued, "Have you ever had an angel minister to you?" My reply, "I'm not sure." "Do you know," said he, "that you are entitled to such?" Came my response: "No." Then he instructed, "Brother Monson, repeat from memory the 13th section of the Doctrine and Covenants." I began, "Upon you my fellow servants, in the name of Messiah I confer the Priesthood of Aaron, which holds the keys of the ministering of angels ..." "Stop," President Child directed. Then in a calm, kindly tone, he counseled, "Brother Monson, never forget that as a holder of the Aaronic Priesthood you are entitled to the ministering of angels. Now continue the passage." I recited from memory the remainder of the section. President Child said, "Splendid." He then discussed with me several other sections of the Doctrine and Covenants pertaining to the priesthood. It was a long interview, but I have never forgotten it. At the conclusion, President Child put his arm around my shoulder and said, "You are now ready to receive the Melchizedek Priesthood. Remember that the Lord blesses the person who serves Him." Many years later, Paul C. Child, then of the Priesthood Welfare Committee, and I attended a stake conference together. At the priesthood leadership session, when it was his turn to speak, he took his scriptures in hand and walked from the stand into the congregation. Knowing President Child as I did, I knew what he was going to do. He quoted from the Doctrine and Covenants, including section 18 concerning the worth of a soul, indicating that we should labor all our days to bring souls unto the Lord. He then turned to one elders quorum president and asked, "What is the worth of a soul?" The stunned quorum president hesitated as he formulated his reply. I had a prayer in my heart that he would be able to answer the question. He finally responded, "The worth of a soul is its capacity to become as God." Brother Child closed his scriptures, walked solemnly and quietly up the aisle and back to the stand. As he passed by me, he said, "A most profound reply." We need to know the oath and covenant of the priesthood because it pertains to all of us. To those who hold the Melchizedek Priesthood, it is a declaration of our requirement to be faithful and obedient to the laws of God and to magnify the callings which come to us. To those who hold the Aaronic Priesthood, it is a pronouncement concerning future duty and responsibility, that they may prepare themselves here and now. This oath and covenant is set forth by the Lord in these words: "For whoso is faithful unto the obtaining these two priesthoods of which I have spoken, and the magnifying their calling, are sanctified by the Spirit unto the renewing of their bodies. "They become the sons of Moses and of Aaron and the seed of Abraham, and the church and kingdom, and the elect of God. "And also all they who receive this priesthood receive me, saith the Lord; "For he that receiveth my servants receiveth me; "And he that receiveth me receiveth my Father; "And he that receiveth my Father receiveth my Father's kingdom; therefore all that my Father hath shall be given unto him." 7 The late Elder Delbert L. Stapley of the Quorum of the Twelve once observed: "There are two main requirements of this oath and covenant. First is faithfulness, which denotes obedience to the laws of God and connotes true observance of all gospel standards. ... "The second requirement ... is to magnify one's calling. To magnify is to honor, to exalt and glorify, and cause to be held in greater esteem or respect. It also means to increase the importance of, to enlarge and make greater." 8 The Prophet Joseph Smith was once asked, "Brother Joseph, you frequently urge that we magnify our callings. What does this mean?" He is said to have replied, "To magnify a calling is to hold it up in dignity and importance, that the light of heaven may shine through one's performance to the gaze of other men. An elder magnifies his calling when he learns what his duties as an elder are and then performs them." Those who bear the Aaronic Priesthood should be given opportunity to magnify their callings in that priesthood. One Sunday two years ago I was attending sacrament meeting in my ward. That's a rarity. There were three priests at the sacrament table, with the young man in the center being somewhat handicapped in movement but particularly so in speech. He tried twice to bless the bread but stumbled badly each time, no doubt embarrassed by his inability to give the prayer perfectly. One of the other priests then took over and gave the blessing on the bread. During the passing of the bread, I thought to myself, "I just can't let that young man experience failure at the sacrament table." I had a strong feeling that if I didn't doubt, he would be able to bless the water effectively. Inasmuch as I was on the stand near the sacrament table, I leaned over and said to the priest closest to me, pointing to the young man who had experienced the difficulty, "Let him bless the water; it's a shorter prayer." And then I prayed. I didn't want a double failure. I love that passage of scripture which tells us that we should not doubt but believe. 9 When it was time to bless the water, that young man knelt again and gave the prayer, perhaps somewhat haltingly but without missing a word. I rejoiced silently. While the deacons were passing the trays, I looked over at the boy and gave him a thumbs-up. He gave me a broad smile. When the young men were excused to sit with their families, he sat on the row between his mother and father. What a joy it was to see his mother give him a big smile and a warm hug, while his father congratulated him and put his arm around his shoulder. All three of them looked in my direction, and I gave them all a thumbs-up. I could see the mother and father wiping tears from their eyes. I felt impressed that this young man would do just fine in the future. The priesthood is not really so much a gift as it is a commission to serve, a privilege to lift, and an opportunity to bless the lives of others. Not long ago I received a letter concerning a choice young deacon, Isaac Reiter, and the deacons, teachers, and priests who served, lifted, and blessed his life and their own lives. Isaac fought cancer from the time he was seven months old until his death at age 13. When he and his family moved to a home near a hospital so that Isaac could receive proper medical attention, the Aaronic Priesthood members in the nearby ward were asked to provide the sacrament to them each Sunday. This weekly ordinance became a favorite of the Aaronic Priesthood holders who participated. Along with their leaders and Isaac's family, they would gather around Isaac's hospital bed, sing hymns, and share testimonies. Then the sacrament would be blessed. Isaac always insisted that, as a deacon, he pass the sacrament to his family and to those who had brought it. As he lay in his bed, he gathered the strength to hold a plate of either the blessed bread or water. All present would come to Isaac and partake of the sacrament from the plate. Nurses and other medical staff soon began to participate in the meeting as they realized that Isaac was close to his Heavenly Father and always honored Him. Though weak and in pain, Isaac always held himself with the honor of someone holding a royal priesthood. Isaac was a great example to the young men in the ward. They saw his desire to fulfill his duties, even on his deathbed, and they realized that those duties were really privileges. They began showing up earlier in order to prepare the sacrament and to be in their seats on time. There was more reverence. Isaac Reiter became a living sermon concerning honoring the priesthood. At his funeral, it was said that throughout his life he had one foot in heaven. No doubt he continues to magnify his duties and assist in the work beyond the veil. For those of us who hold the Melchizedek Priesthood, our privilege to magnify our callings is ever present. We are shepherds watching over Israel. The hungry sheep do look up, ready to be fed the bread of life. Are we prepared, brethren, to feed the flock of God? It is imperative that we recognize the worth of a human soul, that we never give up on one of His precious sons. Should there be anyone who feels he is too weak to do better because of that greatest of fears, the fear of failure, there is no more comforting assurance to be had than the words of the Lord: "My grace is sufficient for all men that humble themselves before me; for if they humble themselves before me, and have faith in me, then will I make weak things become strong unto them." 10 Miracles are everywhere to be found when priesthood callings are magnified. When faith replaces doubt, when selfless service eliminates selfish striving, the power of God brings to pass His purposes. Whom God calls, God qualifies. May our Heavenly Father ever bless, ever inspire, and ever lead all who hold His precious priesthood is my sincere prayer, and I offer it in the name of the Lord Jesus Christ, amen. Notes 1. 1 Pet. 3:15. 2. See David O. McKay, Stepping Stones to an Abundant Life (1971), 375. 3. JS--H 1:14, 17. 4. D&C 13:1. 5. Discourses of Brigham Young, sel. John A. Widtsoe (1954), 130. 6. Gospel Doctrine, 5th ed. (1939), 139-40. 7. D&C 84:33-38. 8. In Conference Report, Apr. 1957, 76. 9. See Morm. 9:27. 10. Ether 12:27.